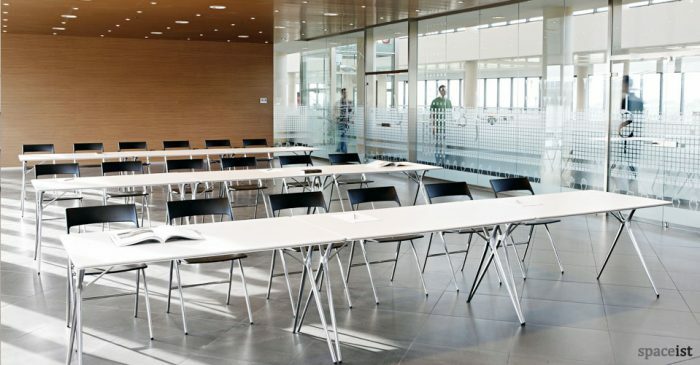 Whether you’re hosting designated meeting spaces or simply making your existing rooms work harder, flexible and folding meeting room tables can be the answer. 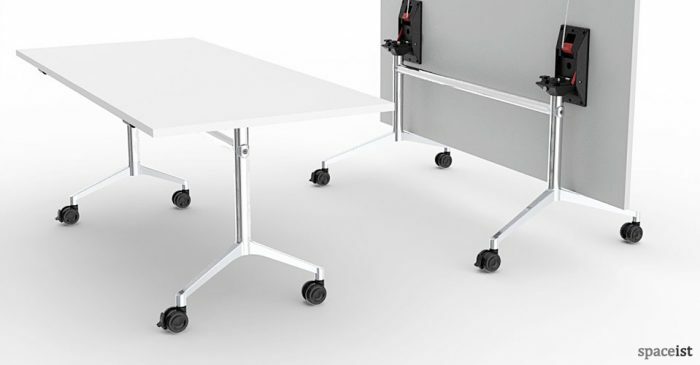 Folding, fliptop, stackable and wheeled meeting room and conference tables are the modern, modular solution for multi-purpose rooms and flexible workspaces. 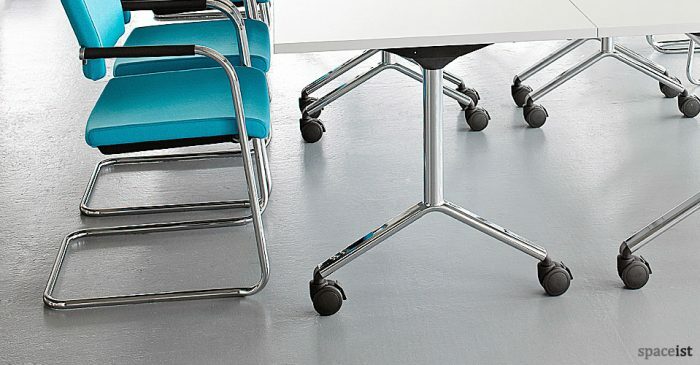 Our hard wearing designs can easily be moved and stacked, making them suitable for break out spaces and schools, as well as meeting and conference rooms. 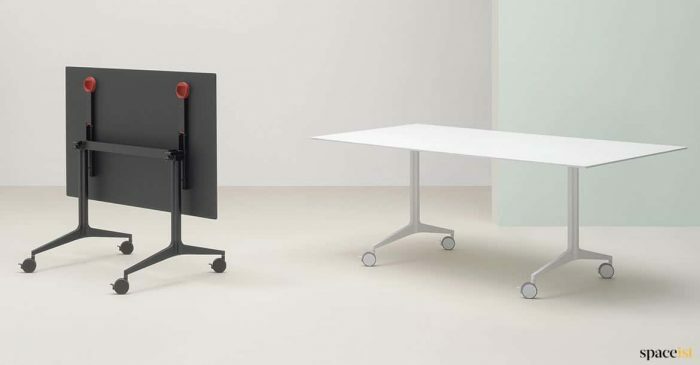 Features include rounded corners, built in power outlets and modesty screens. 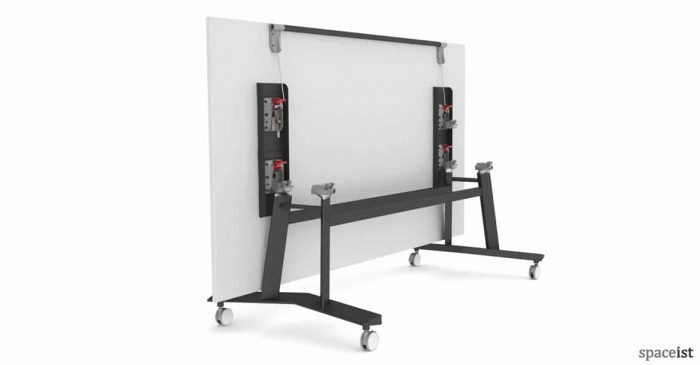 Fliptop tables and folding tables on wheels make room changes and setups simple, safe and fast. 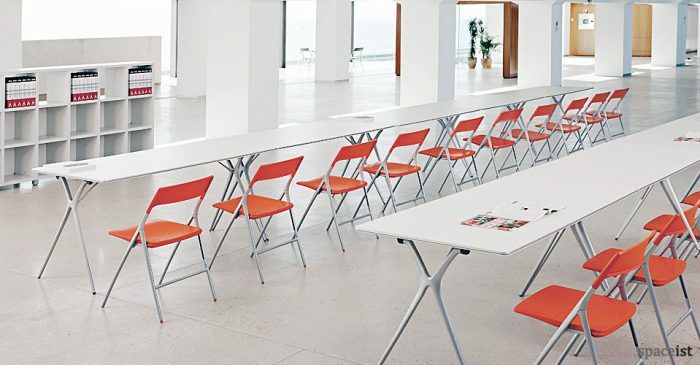 Our range of high quality folding meeting tables come in finishes to complement all styles: black, white, oak and walnut veneer and beautiful bright colours. 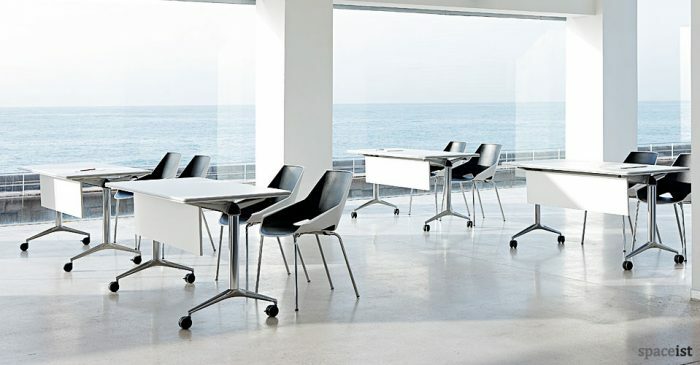 All with matching chairs available. 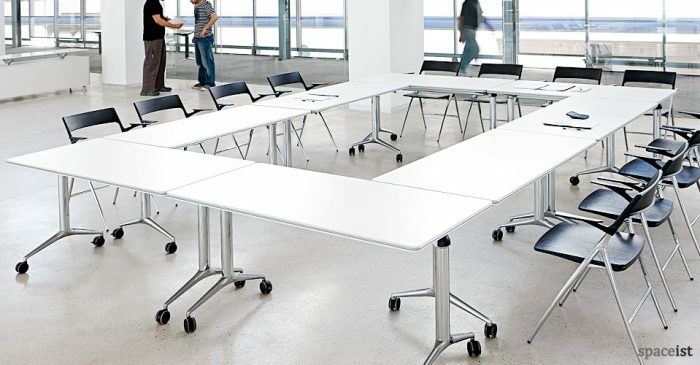 Large folding meeting table to seat eight people. 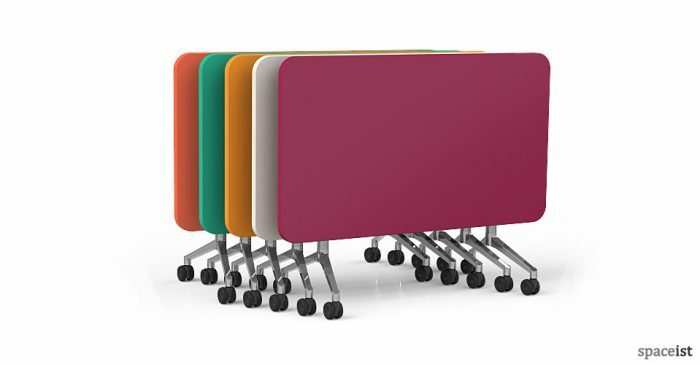 Over eight base colours to choose from. 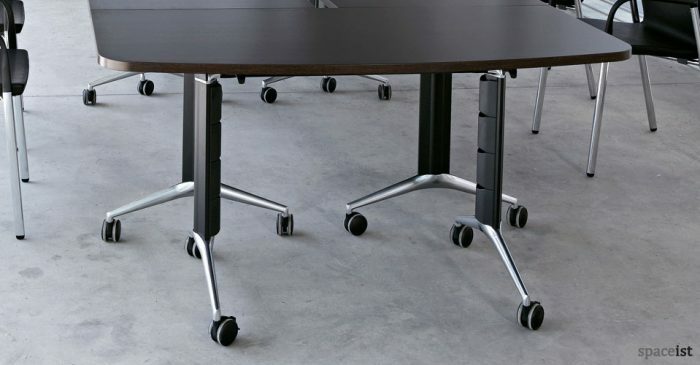 Oak folding conference table with a hard wearing laminate top. Folding top comes in oak, cherry, pear & walnut. 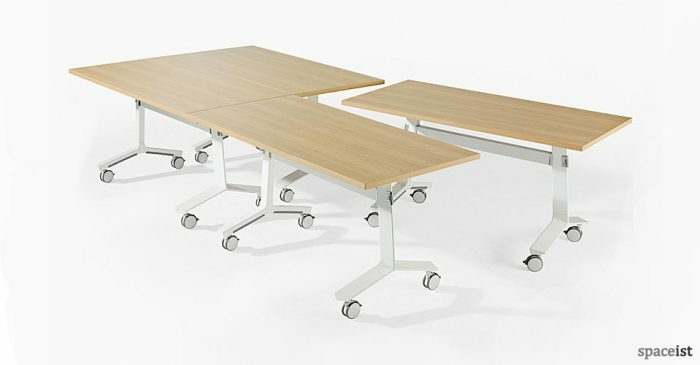 White folding meeting table with a hard wearing laminate top. Base in black or white + colours. 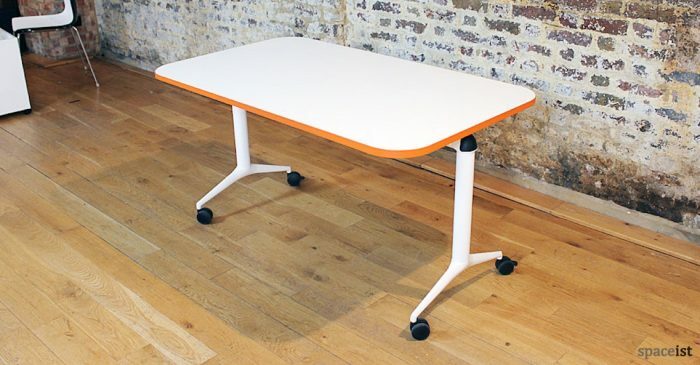 White folding table with a colourful high impact edge. 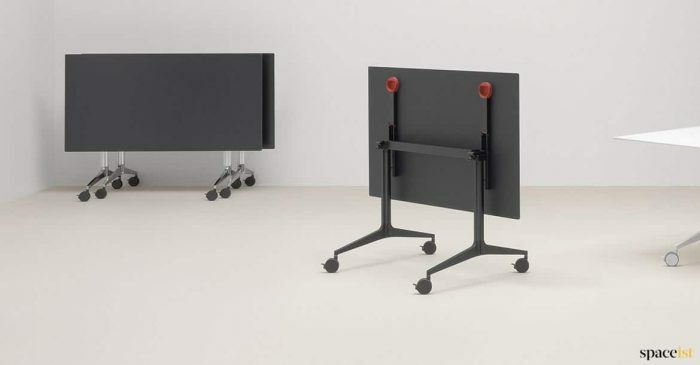 Suitable for breakout, conference and meeting rooms. 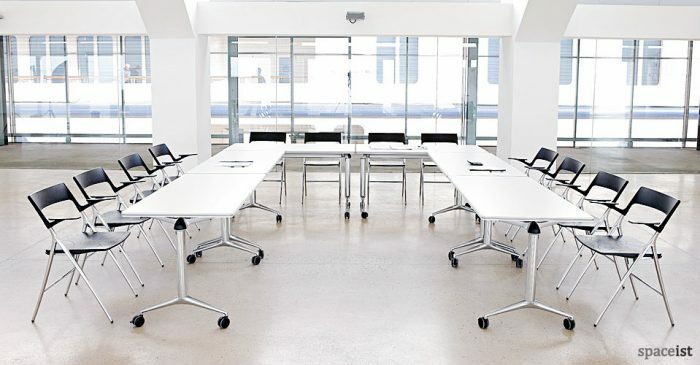 Elegant black folding meeting table with a solid core laminate top in white. 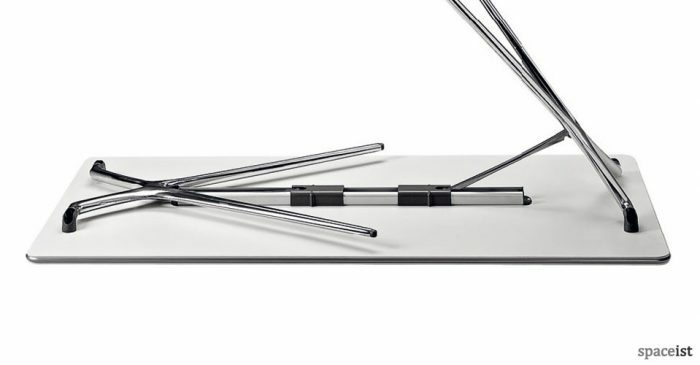 Base comes in white, black, silver or chrome. 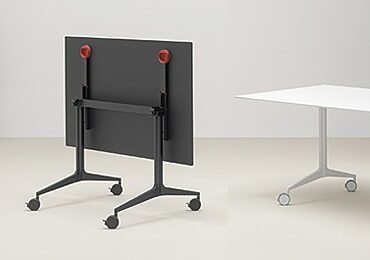 Lightweight folding meeting table with a laminated top. 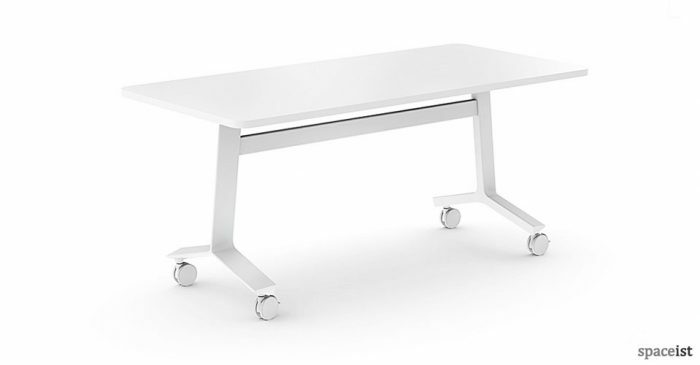 Base comes in white, black, silver or chrome. 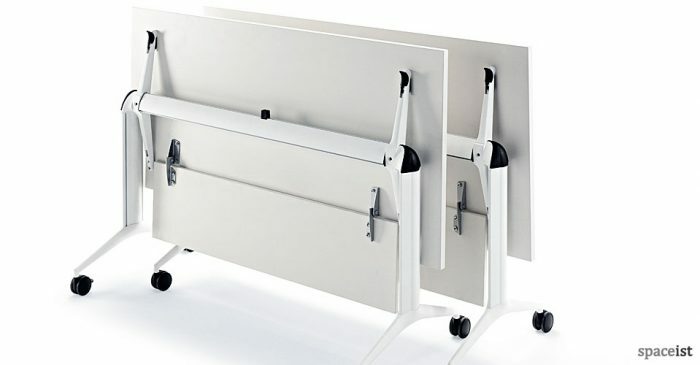 Folding table with a modesty screen that folds flat. Laminate top comes in white, maple, elm & chestnut. 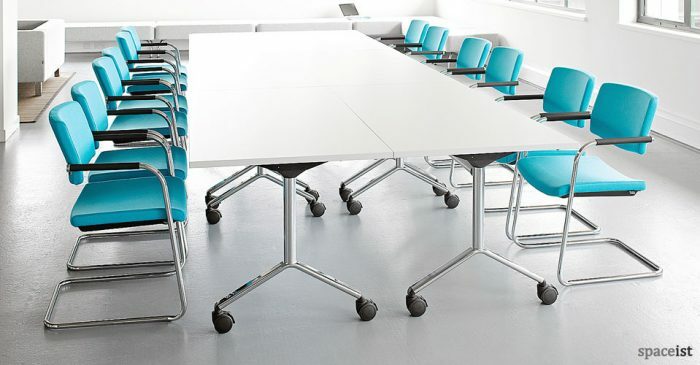 Hard wearing and economical folding conference table. Laminate top comes in white, maple, elm or chestnut. 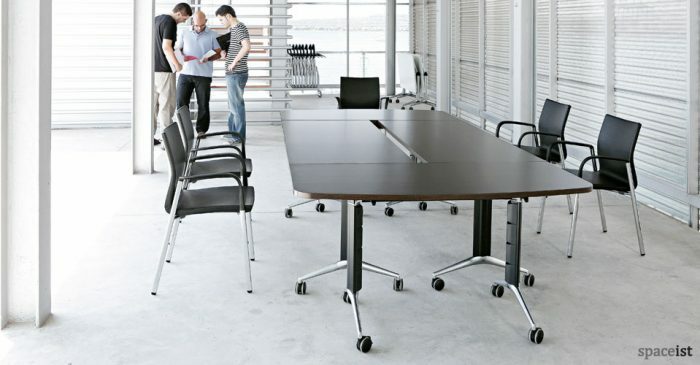 Folding meeting room table with a dark wood top. Top colours include white, maple, elm & chestnut. 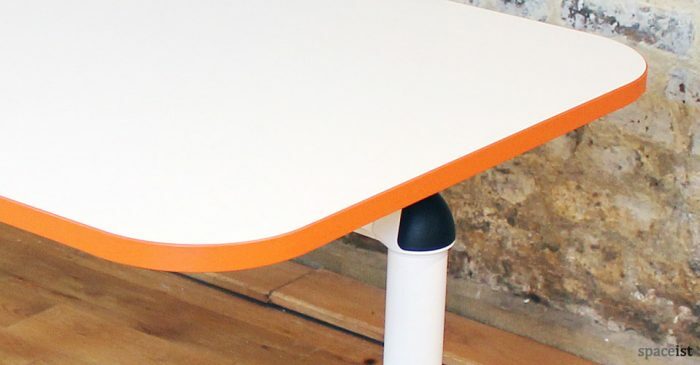 Colourful folding table with a hard wearing laminate top. Suitable for breakout, school & college areas. 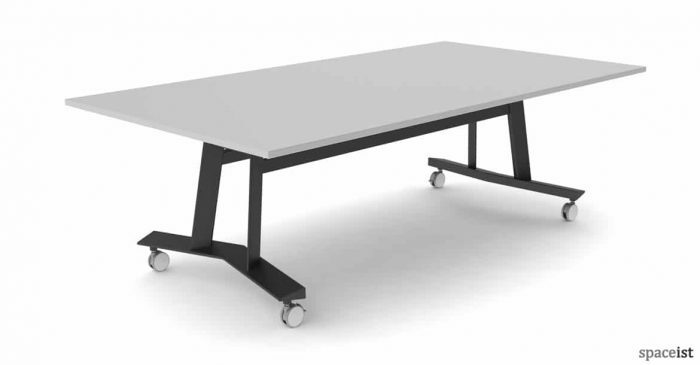 Simple and economical folding table which is suitable for commercial interiors. Top in white, oak, maple or walnut. 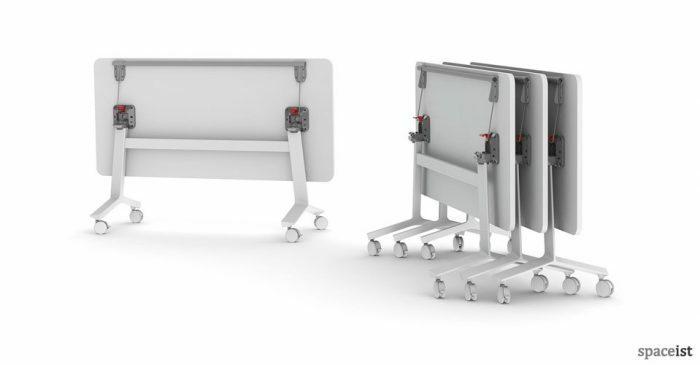 Stacking & folding meeting table to seat 4, 6 or 8 people. 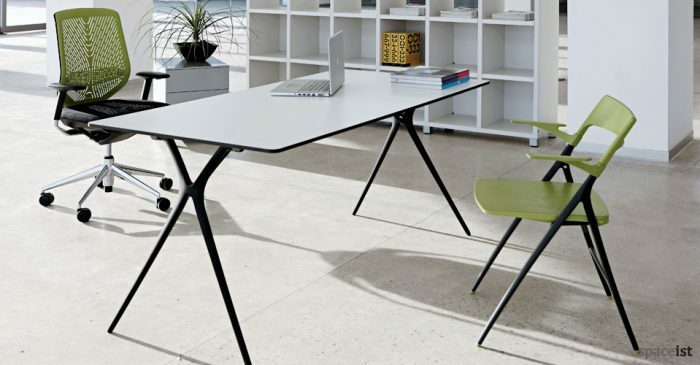 The black table top comes with an anti-fingerprint finish for easy cleaning.